This post is a reprint of an article originally published in the May 2010 Tea & Coffee Trade Journal. The main focus of our soluble features is to prove that one does not need to sacrifice quality for convenience. This is true also for liquid coffee, a concentrate rather than powder, for speedier service. Here's a theoretical dilemma -- you are food and beverage manager of a large hotel. Within your hotel you have a banquet facility with an increasing number of bookings for conventions and other meetings. This is great, but you have a problem. How can you provide the obligatory after-dinner coffee for a host of diners in the scant few minutes before the speaker begins? Everyone seems to want coffee to go with their cheesecake, but the coffee system you have now just can't keep up with demand. When you run out of coffee, your army of tuxedoed servers cools its heels while the next batch brews. By the time the servers head out armed with decanters full of hot brew, the presentation has started. Liquid coffee could be the solution to your problem. Over the course of the past two years, liquid coffee equipment has undergone many improvements that enhanced the ability to deliver lots of coffee quickly and to dispense hot or cold coffee made from concentrate and water with superior flavor. So what exactly is liquid coffee? At first glance, it would seem like an oxymoron in fact all coffee beverages are liquid. But liquid coffee can be defined as a coffee extract. Liquid coffee concentrate is made by first roasting beans, then extracting the flavor, aroma, and body to create a highly concentrated coffee liquid. In recent years, the technologies used to create liquid coffee concentrate have advanced and as a result, flavor has improved and shelf-life has lengthened. Essentially, there are three types of liquid coffee concentrate: frozen, chilled and ambient (sometimes called bag-in-box). Frozen concentrate is shipped and stored frozen, then thawed prior to dispensing. Refrigerator space is required to store frozen product and keep it fresh. The second type of liquid coffee is shipped and stored at room temperature, but is held in a chilled or refrigerated environment during dispensing. Finally, ambient concentrate requires no refrigeration at any time. All three types of concentrate are available in one of three types of packaging: bag-in-the-box (BIB), bottled, or canned. 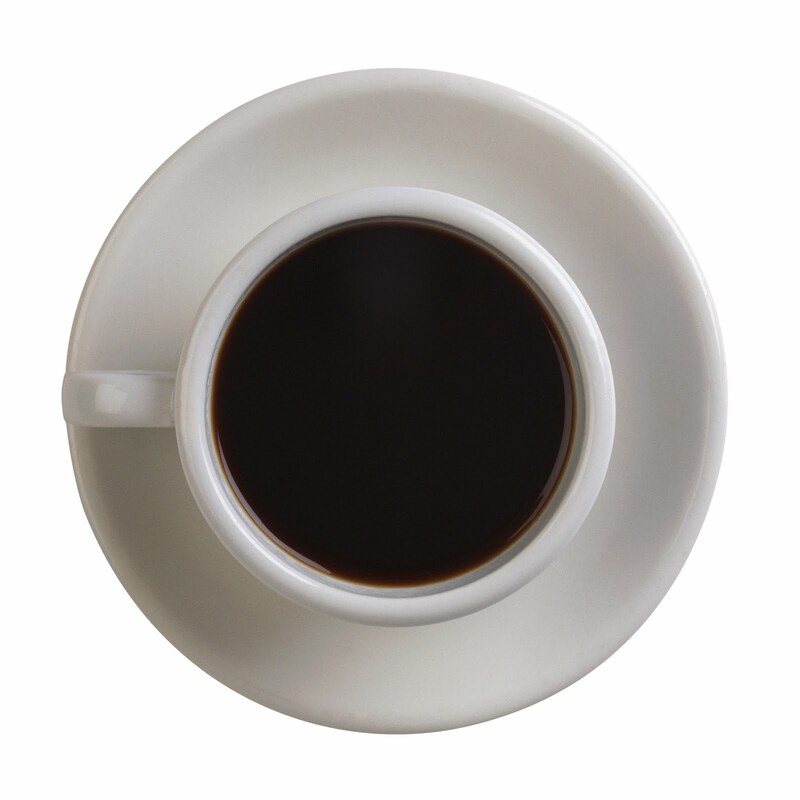 There are many reasons to consider liquid coffee as a component of your beverage menu. Liquid coffee allows you to offer coffee on demand, either hot or cold, always ready to serve. With liquid coffee there are no problems with brewing consistent coffee or serving any time of day. Since no brewing / grinding / emptying funnels is required, there may be some labor savings. There is less waste involved, and the small footprint saves valuable counter space for other profit centers. In addition, a liquid coffee program eliminates stale or burnt coffee caused by coffee sitting on a warmer. Coffee extract requires less storage space than bean or ground coffee. Some dispensers have a night mode that eliminates pilferage by disabling the dispense system. Finally, liquid coffee systems have increased safety for employees and customers, eliminating hot spots in beverages and possible spillage of containers. Perfect places for liquid coffee systems are large serving environments such as stadiums, banquet halls, convention centers, and cafeterias, to name a few. Amusement parks, casinos, colleges and universities, convenience stores, cruise lines, and quick serve restaurants are other venues for liquid coffee. With virtually no waste, liquid coffee dispensers will serve extremely high volumes of customers, and save you money. Liquid coffee gives an operator the ability to meet demand across all dayparts by serving a cup at a time. There is no waste, and, depending on the machine, up to almost 1,200, 8 - ounce servings can be dispensed per hour. That's a lot of coffee! We've seen an increasing demand for dispensers that can produce large quantities of liquid coffee, and by that I mean 5 gallon batches of coffee that can be dispensed into servers and taken to remote locations. Many large serving venues need this capability and are asking for a machine that can meet the need. 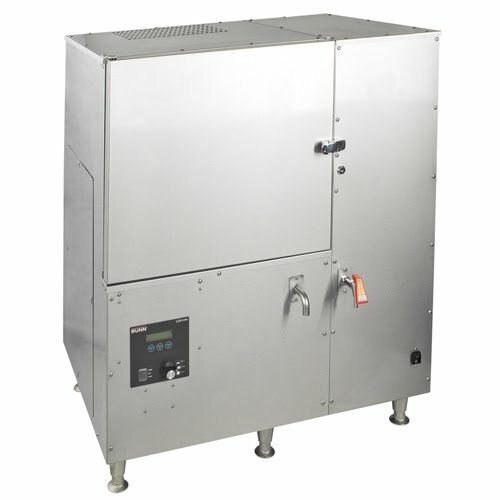 Two important factors that control volume in a liquid coffee unit are tank size and electrical voltage. Hot water tank sizes range from 1.5 to 18 gallons. Since liquid coffee is made by mixing hot water with coffee concentrate, its important to have hot water readily available to meet peak demand. Electrical voltage controls the machines ability to heat water: a three-phase power is necessary for high-volume. Some accounts may even chose to increase capacity with an additional booster heater providing extra gallons of pre-heated water. Many liquid coffee units have portion control options that allow for self-serve or minimal server involvement. A recent Technomics study cited rising labor costs as a primary concern for 77% of operators polled. Labor costs can be reduced if a liquid coffee system is used, since brewing, grinding, and funnel emptying are eliminated. In addition, liquid coffee systems deliver the same recipe, cup after cup, providing superior consistency. Most liquid coffee systems take up less space than a grinder and coffee brewer, and often servers as well. Because these systems have a small footprint, more valuable counter space is left for other profit centers. Liquid coffee dispensers can be as narrow as 12 inches, making them ideal for areas with limited space. The size of the product cabinet is important because it controls the number and size of BIB, bottles or cans contained, so it's important for the operator to work with the product distributor to mach the needs of the product and location. Non-proprietary or open systems typically utilize peristaltic pumps that allow the liquid coffee dispenser to deliver a wide range of water-to-concentrate ratios: from 25:1 to 100:1. Proprietary systems have various other means to adjust ratio and typically are formulated within a smaller ratio range. Some dispensers (such as those from BUNN) have a technology that guarantees flavor consistency by automatically adjusting pump speed to ensure maintenance of proper coffee concentrate to water ratio. With this technology, RPM feedback control assures accurate pump operation, making liquid coffee even easier to operate and maintain. There is an increasing demand for concentrates if the liquid coffee will be used as a base for iced coffee beverages. According to NPD CREST, in 2009 total iced coffee consumption had increased over 20% since 2008, so the popularity of this kind of beverage is growing. When preparing iced coffee, there are now many alternatives. One alternative is coffee dispensed from a traditional liquid coffee system using an ambient concentrate mixed with water at ratios from 25:1 to 100:1. The coffee from this type of dispenser is typically dispensed over ice, and milk, flavorings, and/or sweeteners can be added. A second alternative: iced coffee beverages can begin with cold or chilled coffee from a cold beverage dispenser that uses a high ratio of water to concentrate: 5:1 to 11:1. These systems utilize ice bank technology to maximize dispensers burst capacity. Burst capacity is the dispensers ability to deliver a fixed rate of drinks before exceeding the drink temperature requirement. Finally, a growing number of machines are combination systems that mix coffee concentrate with various ingredients to create a customized beverage prior to dispensing. These ingredients may include powders such as chocolate or coffee whitener, liquid flavorings and syrups. Most of the combination systems also use peristaltic pumps, and powder mixing delivery systems to create the beverage. The use of both of these technologies provides the operator with options for meeting the various demands of their customers. Liquid coffee is the perfect solution, especially for high-volume, rapid turn serving environments. With the increasing equipment options, operators have more choice than ever to meet customer demand.